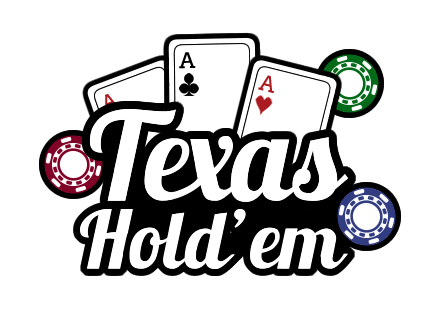 About six months ago I began talking with a number of different poker players that I know and asked them if they prefer playing limit or no-limit Hold’em. I first started the conversation with a few people I know at the local cardrooms in my area. The discussion eventually reached more than 150 different people. I then decided that just talking to folks locally might not be good enough so I expanded the conversation and got responses from another 200-plus players by way of different conversation threads on the Internet. At the time I started writing this, I had talked to, or received opinions from, 371 different players, but I wouldn’t qualify this as a “scientific” survey. I came to find that half of the players that I talked too (51 percent to be exact) like to play limit Hold’em, and the other half prefer no-limit. Here’s what shocked me a bit: Of the 191 players I surveyed who said that they prefer limit as their primary game, 35 percent of them (67 out of 191) will play, and actually enjoy playing, no-limit from time to time. Yet of regular no-limit players, only 11 percent (19 out of 180), admitted that they enjoy going back and forth between the two games. Almost every one of the remaining 89 percent said the same thing: “I hate limit.” It didn’t surprise me that the percentage of no-limit players who would opt to play limit was low. I was a little shocked to see that the percentage of limit players who would play one game versus the other was almost twice that of no-limit players going back and forth. I don’t believe that either game is better than the other. I do believe that playing smart, correct decision-making poker is the only way to win consistently at the game. Good topic, I was planning on doing a blog entry on this soon too. I prefer limit if the stakes are high enough for 1 big bet per hour to be profitable. (Usually min $8/16). While I think the players have gotten drastically better in no-limit in recent years, the competition level has remained the same in limit holdem. I disagree that limit holdem allows you to manage your losses better bc the variance in limit holdem is actually higher than in no-limit due to the fact that your chips are in play more frequently (playing more pots and draws), but with a high volume of hands played limit can be just as profitable if not more profitable using correct strategy and aggression. Many NL players also dont realize that the strategy in Limit is a diff approach… Ie a NL approach wont work in Limit so they assume they got unlucky. Also its worth mentioning that Limit holdem is better for the longevity of the poker economy bc money stays on the table longer which allows the whales to lose over longer periods of time vs going broke in a week and then potentially never returning to play again. This is also beneficial for the hosting poker room bc they get more rake. I wouldnt be surprised to see a push for more limit holdem within the industry in the future like it once was. I apologize that it took me so long to respond on this. I agree with you in that there seems to many players getting better at NL while limit players are still the same. I think limit will see more players drawn to it at time goes on. We’re already seeing a greater migration of players going back to Omaha 8 or better. I think limit hold ’em games are next right behind.